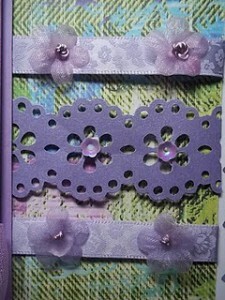 Small pearlescent lilac flower cup sequins. Raised flower cup sequins with a beautiful iridescent shimmer have a hole in the centre, which allows you to sew them onto garments. The small hole is also great to add a little gem or a small bead in the centre to make decorative flower embellishments for cards and crafts. 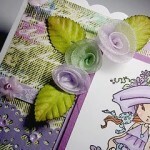 Sequin flower embellishments are great for lilac themed wedding cards and stationery. Craft sequin flowers are ideal for card making, scrapbooking and general crafts. This entry was posted on Monday, February 14th, 2011 at 9:26 pm	and is filed under . You can follow any responses to this entry through the RSS 2.0 feed. You can leave a response, or trackback from your own site.